Buckle up, nerds, for MY FAVOURITE STAR TREK MOVIE, Star Trek IV: The Voyage Home, AKA: The One with the Whales. In Voyage Home, our intrepid crew, on their way back to earth to face a Court Martial for their actions in the previous two movies, discovers that Earth is under attack from a mysterious probe that is whipping the Terran climate into destructive storms and threatens to destroy all life. It’s also beaming some kind of communication signal towards Earth’s oceans, but nobody can understand it. Our heroes do a bit of quick sound mixing and intuit that the signal is – wait for it – whalesong! The aliens are looking for humpback whales! The only problem? That particular species was driven to extinction by crappy humans over two centuries ago. 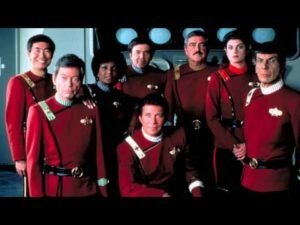 What’s a heroic crew of technically-right-now-space-pirates to do? Why, travel back in time to find some whales, of course! George and Gracie would like their money back, they were promised first class and this is clearly Economy. 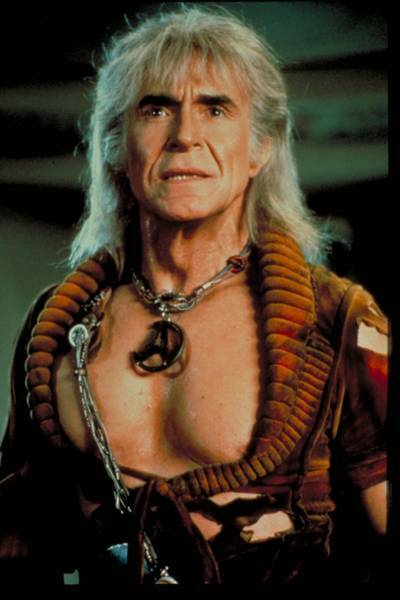 This is a great movie for people who don’t know anything about Star Trek, because it’s just… a delight. You get just enough information about the world to be situated, and the chemistry between the characters is solid and established: these people have known each other a long time, and like each other, and work well together. And the plot is wacky, but not so wacky that it drives you up the wall or feels out of keeping with the universe. This is in fact the second time the Enterprise has used the slingshot-around-the-sun method to time-travel, and as an episode format kicks of a tradition of the same kind of time travel story multiple times in each future franchise. 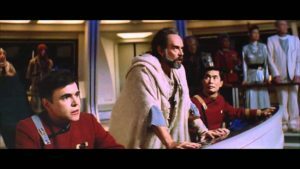 Trek’s blatant social commentary is never so blatant as when the world of the future is juxtaposed against our present, and the environmentalism in this movie is so straightforward that most of the dialogue wouldn’t be out of place in an episode of Captain Planet. 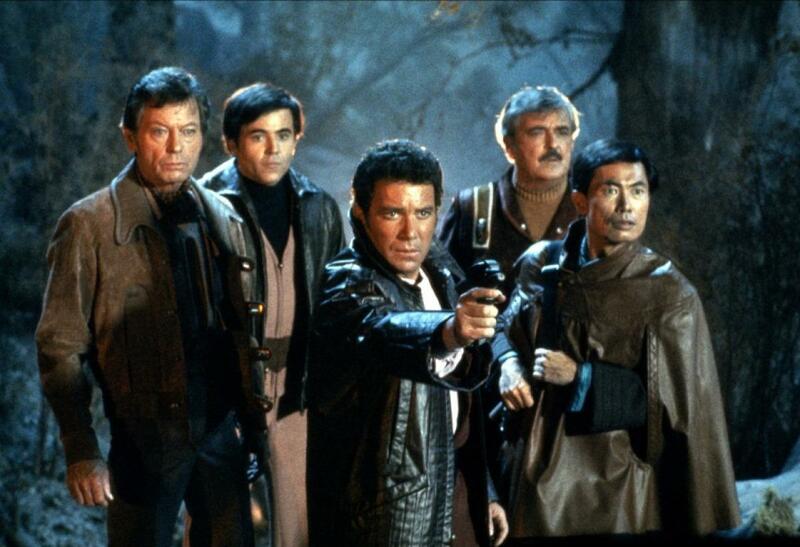 It’s also the only Trek movie up to this point with no deaths and little to no physical violence. Although so, so much 80s hair. Hi, Catherine Hicks! Hope you enjoy science in the future! Highly recommended, 10/10 (or, well, 3/4, if you’re going by hosts, because Kim has no joy in her heart). A fun, happy story with a happy ending. Watch it and have a good time. So, here’s the thing about the second, third, and fourth Star Trek movies: they’re a trilogy. 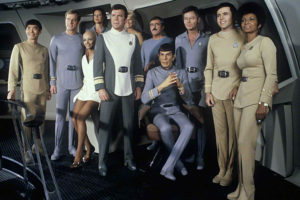 And Search for Spock plays true to form for most two-of-threes: lots of feelings on display and not a whole lot of plot. But that’s okay! 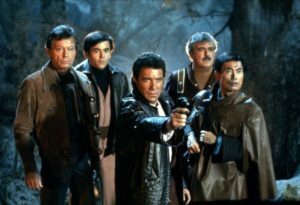 Search for Spock is one of the reasons I tend to disagree with the odd-versus-even Star Trek Movie Rule, because Star Trek 3, while not a very complicated story, is still pretty emotionally satisfying if you’re invested in the characters, and okay, we definitely are. Did I mention this is the one where they all get badass leather jackets? Basically, the Enterprise returns to Earth to the news that even on top of Spock’s recent, tragic death, everything is garbage: they’re denied permission to travel to Vulcan to attend Spock’s funeral, and Starfleet is retiring the Enterprise (which at this point is over 20 years old) and replacing it with a hot young thing named the Excelsior, a ship Scotty, who is a starship engineer in the 23rd century, thinks is too fancy and complicated and hates with all his being. It’s hard to say which of these two things is more upsetting to Kirk: being denied the opportunity to grieve his best friend-slash-life-partner, or losing his best girl to the political machinations of a PR-conscious Starfleet, who would rather the Enterprise crew hang around to do damage control over the Genesis incident. 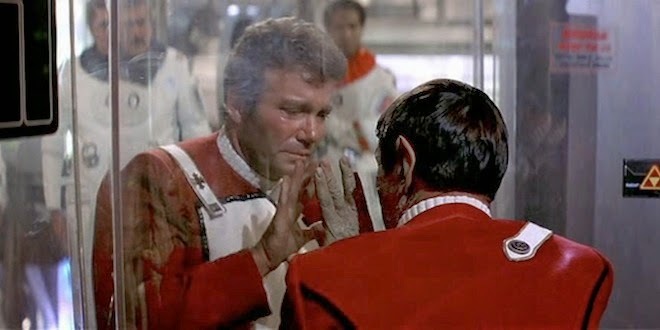 But no worries: here comes Sarek, Spock’s dad and Vulcan Ambassador to the Federation, to hand Kirk & Co. a new quest like a video game NPC: Spock, though his body died, would have transferred his consciousness to someone else given half the chance. Sarek wants it back, and he’s super-pissed at Kirk for leaving Spock’s body behind on Genesis. 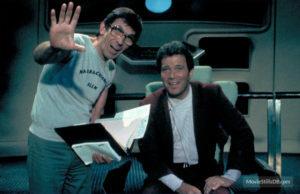 Sarek thought Spock would have hitched a ride with Kirk, who even Sarek knows was his son’s best friend in the galaxy, but it turns out that Spock hitched a ride with McCoy instead, leaving our favourite curmudgeon space doctor speaking in tongues and having hallucinations while he tries to deal with his passenger. This one was directed by Nimoy. Here I assume he’s instructing on the appropriate level of manly weeping. 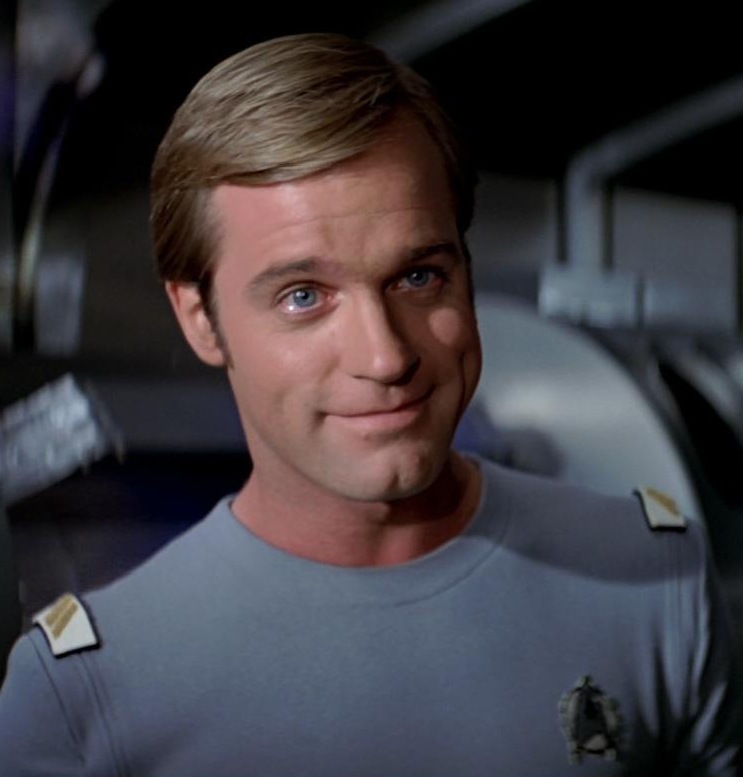 Kirk, being Kirk, takes one look at the facts and comes to the only logical conclusion: LET’S STEAL THE ENTERPRISE AND GO ROGUE. In the end, after some frankly forgettable battles with random Klingons and the (tragic?) death of Kirk’s son David, Spock’s body – regenerated to health by his time on Genesis – and his katra (the Vulcan soul) are reunited, and Spock is saved. The crew is reunited, the day is saved, and all is well. I mean… except for the mutiny charges that are no doubt awaiting them back on Earth. 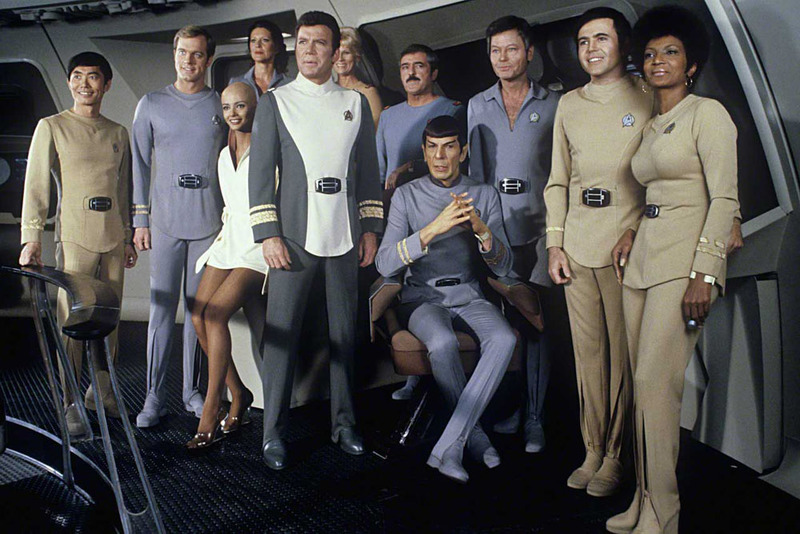 Next time on NSMTNZ: Star Trek: The Voyage Home, AKA: The One with the Whales, AKA: The Best Star Trek Movie, Bar None. Are you excited?